After scouring a wide range of textbooks, handbooks, and journals, one’s impression may very well be that developmental psychology is about the sum of all of the above—and more. Indeed, it concerns the normative changes that occur during these phases of life, but it is also about the differences and variations in individuals’ lives—the diversity of development—as well as the biological and cultural conditions that occasion unique developments. Given the breadth of the field, however, the published works in developmental psychology are more selective about the issues, theories, and methods to which they attend. For this reason, a simple but broadly accommodating definition of developmental psychology is offered here. Following the definition, a brief analysis of some of the key concepts in developmental psychology is presented. Subsequently, both the emergence (history) and present structure of the field are sketched. A deliberately simple definition is as follows: developmental psychology is the study of psychological phenomena that change at any point in the life span. This seemingly uncontroversial rendition, however, contains several terms that require elaboration, if not clarification. Notably, all of the key terms of the definition—viz., developmental, study, psychological phenomena, change, and life span—may be interpreted differently and perhaps even contested by notable developmental scholars. Accordingly, the field of developmental psychology may actually be described as containing multiple legitimate clusters of developmental psychologies. Although these clusters share some common assumptions, interests, and themes, they differ—sometimes dramatically so—from one another in these and other respects. Unpacking the seemingly simple definition above into its principal terms provides insight into the present status of developmental psychology. In so doing, both the commonalities and the diversities of contemporary developmental psychologies are exposed. The fact that there is commonality and diversity in developmental psychology is embodied in the terms development and change. Most contemporary theorists and approaches would subscribe to an underlying developmental perspective, or the notion that an understanding of the present psychological moment (i.e., behavior, belief, knowledge, performance, phenomenon) requires attention to the conditions and processes that led to it. Concurring that developmental psychology directs attention to the sources and courses of psychological phenomena does not imply, however, that there is agreement on whether all (or, if not, which) changes constitute developmental change. The ‘concept of development’ refers to the criteria (if any) for differentiating change from development. This concept varies across approaches to developmental psychology. For example, there is disagreement about whether developmental changes can or should be universal (i.e., occurring to all individuals), irreversible (i.e., not naturally reversible or even immune to intervention), qualitative (i.e., stage-like rather than step-like and gradual), or goal directed (related or unrelated to a possible end state). Legitimate, but contrasting, developmental psychologies rest on dissimilar conceptual assumptions concerning the extent of the difference, if any, between change and development (e.g., Harris 1957). For example, developmental theories that derive inspiration from models of biological maturation may attend principally to early phases of life (through adolescence) and construct theories that emphasize progressive and even universal growth. In contrast, other theories that are inspired by differential influences of proximal contexts, historical periods, and cultural settings are more likely to emphasize multiple developmental directions and perhaps even strong interactions among levels of influences (e.g., biological and cultural). Vivid contrasts in developmental theories may be viewed in a recent collection of chapters devoted to theoretical issues in developmental sciences (see Elder 1998, Gottlieb et al. 1998, Overton 1998, Schweder et al. 1998). The study of psychological development refers to the practices and traditions of scholarly research. A wide range of positions on how psychological development can or should be studied is evident. Methods employed in developmental investigations include virtually all those available in the biological, psychological and social sciences. The reason for this is that the phenomena investigated in developmental studies include the full range of processes or performances targeted by other psychologists, but also the (interactive) influences from biological and sociohistorical realms. From the social to the cognitive, from the macro to the micro, methods for investigating developmental change may be adapted from a wide variety of methods for investigating snapshots and profiles of human performance. Notably, developmental psychologists pursuing research under the aegis of contrasting models or theories may adopt diverging approaches to the collection, analysis, and interpretation of developmental data. Available methods of developmental research include the large categories of experimental and quasi-experimental procedures, individual and profile difference studies, and qualitative techniques. Each of these categories may feature information garnered from standardized tests, experimental tasks, assays, questionnaires, surveys, interviews, textual interpretations, and combinations thereof. In addition, procedures are available to accommodate a variety of intentions, including a focus on description (what is changing or for whom? ), explanation (why is it changing or what causes the change? ), and intervention (can the change be remediated or modified?). Nevertheless, whatever the research question or procedure, all developmental methods have a common paramount concern. Specifically, in developmental research an estimate of chronological age or developmental time is involved. Thus, typically some variation of cross-sectional (i.e., comparison of different age groups at one point in time) or longitudinal (i.e., examining changes in one or more groups across time) designs is implemented. Whatever one’s assumptions about the concept of development, generating inferences about developmental change requires attention to more than one slice of the human life span. Thus, underlying the methodological diversity is the shared developmental goal of assessing the ‘how’ and ‘why’ of human change. 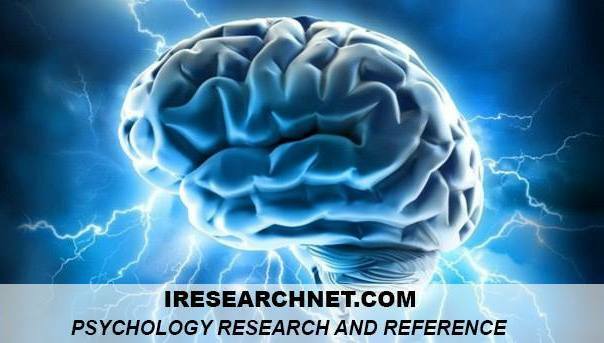 Moreover, the array of methods may be necessary for understanding complex phenomena of individuals developing psychologically in the contexts of biological processes and social-environmental influences. In this respect, developmental methods associated with research in such areas as person and pattern analyses (e.g., Magnusson and Stattin 1998) and life-span change (e.g., Baltes et al. 1998) embody promising research endeavors. Naturally, specific theories or models of developmental psychology concentrate on different clusters of phenomena, and in some instances these are mutually exclusive. For example, in the middle part of the twentieth century there was much controversy over whether mechanistic (e.g., behavioral) or organismic (e.g., Piagetian) developmental psychologies implemented methods that identified optimal, and perhaps even acceptable, psychological change phenomena (e.g., Reese and Overton 1970). At present, an appropriate emphasis in evaluating whether phenomena are appropriate for developmental research is on whether the measures and observations can be justified from explicit and coherent perspectives on developmental theory and method. Life span is the final term from the definition requiring clarification. The simplest interpretation of this term is that interesting and important psychological changes occur throughout life, but numerous challenging and elucidating implications have been derived from this principle (e.g., Baltes et al. 1999). Developmental psychologists focus their theoretical, methodological, and intervention efforts during one or more common phases of the life span, such as childhood, adolescence, midlife, or late life. Historically, many developmental psychologists have emphasized the roughly 15 percent of the typical life span known as infancy and childhood. A smaller but growing cadre of scholars concentrate on changes occurring during the approximately 10 percent of the life span known as adolescence. The remaining 75 percent of the typical life span constitutes the years of adulthood, ranging from young through the middle to the oldest ages. Unsurprisingly, telling the whole tale of development across the life span in any phenomenon—much less all psychological phenomena—is not the goal of life span developmental scientists. From the perspective that much developmentally interesting phenomena occur at all points of the life span, all developmental scholars contribute to a picture that will eventually be more comprehensive and coherent. Seasoned observers of the field of developmental psychology are keenly aware of its formidable array of active theories, methods, and ideas. Recent publications testify to the vitality of the field, whether the focus is on theoretical or systemic issues (e.g., van Geert and Mos 1991), historical scholarship (e.g., Eckardt et al. 1985, Parke et al. 1994), or substantive empirical research on particular processes (e.g., Bornstein and Lamb 1999, Birren and Schaie 1996). As perhaps a sign of a maturing science, the emergence of developmental psychology received considerable attention in the latter half of the twentieth century. Perplexing more than one observer is the sheer variety of perspectives on human development. Although distinct in several ways, contemporary theoretical systems and age-related divisions of developmental psychology can be linked to historical precedents in the nineteenth and twentieth centuries (e.g., Cairns 1998, Dixon and Lerner 1999). Although several eighteenth century European scholars (e.g., D. Tiedemann, F. A. Carus, and J. N. Tetens) produced prescient age-oriented sciences, the nineteenth century is often viewed as a crucial period in the emergence of developmental psychology. Numerous influences arising during this era have been cited (e.g., Richards 1987), including (a) the rise of evolutionary perspectives in biology (e.g., Darwinism) and other sciences (e.g., geology), (b) the appearance of historical views in philosophy (e.g., Hegel, Marx), (c) social pressures to accommodate education requirements of growing populations of children, and (d) the growth and institutionalization of psychology as an intellectual entity separate from biology and philosophy (e.g., William James). Arguably, the notion that present phenomena may be linked to past and present conditions is a hallmark of the intellectual life of the nineteenth century (Mandelbaum 1971). By the early twentieth century, psychologists were applying this concept of development to behavioral change, and even differentiating their views of development from one another. For example, the distinctions in theoretical perspectives among James Mark Baldwin (e.g., 1895), John Dewey (e.g., Cahan 1994), Sigmund Freud (e.g., Sulloway 1979), G. Stanley Hall (e.g., 1883), William James (e.g., 1890), Jean Piaget (e.g., 1983), Lev S. Vygotsky (e.g., 1929), and John B. Watson (e.g., 1924) are detectable. The theoretical differences are distributed along the dimensions of such generic and long-standing contrasting positions as origin of development (e.g., nature–nurture) and characteristics of developmental change (e.g., continuity– discontinuity). Rooted in differentiable assumptions, contemporary theories and systems of developmental psychology, may be traced to a variety of sources from ancient philosophical, to the fertile nineteenth century, to more recent influences (Cairns 1998, Dixon and Lerner 1999, Parke et al. 1994). In an initial effort to clarify the extent of divergent perspectives residing in the field of developmental psychology, two prominent and recent handbooks of development in the early and late phases of the life span were examined. The collections boast authors who are widely known specialists, and contain excellent tutorials on important developmental topics. 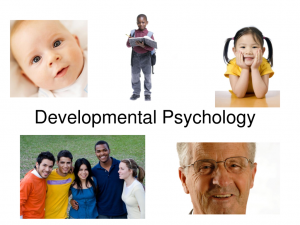 The topics covered in the volume on early life development (edited by Bornstein and Lamb 1999) include the role of (a) cultural contexts, (b) school and community influences, (c) neurobiological aspects, (d) perceptual changes, (e) cognitive theories, (f ) language emergence, (g) personality and temperament development, (h) familial relationships, and (i) peer or friendship patterns. There are also chapters on ( j) theoretical v historical issues, (k) methodological characteristics, and (l) life span perspectives. A recent collection of reviews of adult development edited by Birren and Schaie (1996) contain a similar range of topics: (a) theoretical overviews, (b) methodological recommendations, (c) biological, neurological, and genetic influences, (d) gender-related differences, (e) cultural and racial perspectives, (f ) sensory changes, (g) cognitive and intellectual aging, (h) psychosocial and personality processes, as well as (i) familial, career, and environmental influences. Although impressively similar in range of topics, among the hundreds of references in each volume are a scant few appearing in both. Apparently, much work remains to be done in portraying the patterns and causes of development across (artificially) divided phases of the life span. Indeed, linking the descriptive patterns will be more manageable than the explanations. Naturally, the why questions in child development are of the sort: What accounts for the predominant patterns of growth and why are there exceptions? In contrast, the why questions in adult development may be summarized as what accounts for the predominant patterns of decline and are there any systematic exceptions? The variety in contemporary developmental psychology derives in part from the fact that human development as a whole is fascinatingly (but unforgivingly) complex. This observation applies at any point in the life span, but is perhaps exacerbated by the existence of changes throughout life. At the theoretical level, it derives also in part from the fact that the developmental psychologies of the twentieth century have common sources, but often heterogeneous specific philosophical lineages. Different strands of developmental phenomena are captured adequately by select combinations of theories and methods, but no single all-encompassing developmental metatheory has established unparalleled pre-eminence. There are multiple families of developmental theories, multiple systems of developmental psychology. From this pluralistic perspective, each of the systems is more or less adequate in sponsoring theoretical and empirical work. Developmental psychologists share interests in human psychological change. The enormous variety of topics and perspectives covered by this common interest may be viewed as complementary, but not often overlapping. In the latter years of the twentieth century, a variety of institutional support mechanisms appeared. These included organizations and societies, journals and regular publications, training and educational sites, professional and career opportunities, and sources of research funding. With respect to societies, organizations are available that reflect interests in general infant and child development (e.g., Society for Research in Child Development), adolescence (e.g., Society for Research on Adolescence), adult development and aging (e.g., Gerontological Society of America), and even all phases of the life span (e.g., International Society for the Study of Behavioral Development). The American Psychological Association sponsors several active and large divisions with developmental agendas (notably, Division 7: Developmental Psychology; Division 20: Adult Development and Aging). In addition to these societies, numerous more focused associations have appeared and prospered. These include the long-standing Jean Piaget Society, a series of Cognitive Aging conferences, and a new child-oriented Cognitive Development Society. Regarding publications, the number of research journals related to developmental psychology has expanded enormously. Prominent examples include Developmental Psychology, Adult Development and Aging, Infant Behavior and Development, Child Development, Journal of Research in Adolescence, Journal of Gerontology: Psychological Sciences, and International Journal of Behavioral Development. In addition, several theoretical journals, such as Human Development and Developmental Review, have been published successfully for many years. When initially produced, regular publications, such as handbook or advances series, could reasonably seek to cover broad topics such as child psychology or psychology of aging. More recently, however, the number of handbooks has multiplied, and the topics have become more focused as the field has become more specialized. Today, there are handbooks on such specialized topics as infancy research, infant perception, infant mental health, child language, adolescence, parenting, aging and the family, emotion and adult development, and cognitive aging. What can be concluded about the structure of the field of developmental psychology? Perhaps primarily that, reflecting the rapidly advancing specialization and knowledge generation that occurred during the second half of the twentieth century, it is variegated but well-organized and copiously documented. For virtually every interest area, there are societies that sponsor meetings, agencies that distribute funding, journals that publish empirical and theoretical reports, edited volumes that present recent reviews of research progress, or, in many cases, handbooks or other compendia. If there is a downside to the knowledge advances and the variegated structure that has resulted, it is that there are precious few points of contact among many of the units in the structure of developmental psychology. Piece-by-piece and year-by-year, however, ambitious developmental psychologists are taking on larger strands of the story of life-span human development. Developmental psychology is a vigorous, vast, and not altogether unified field of psychology. Far from being a handicap, however, its theoretical and methodological diversity has resulted in an immense and complex structure of assumptions, interests, and knowledge about human development. Undergirding its many manifestations is a commitment to portray and understand change, psychological change. This interest includes descriptions and explanations of developmental change, but also implementation of procedures whereby suboptimal change may be remediated or successful development may be facilitated. Thus, like many sciences, it has both basic and applied aspects. Like many sciences, it is exceedingly specialized—hopelessly so, if one wishes to capture the whole story of psychological development. Although the gathering momentum appears to move toward further variegation—and not yet toward unification— it also moves toward even greater achievements, even more knowledge. Like most sciences, developmental psychology is far from finished, but the past century has hosted an especially auspicious beginning. Baldwin J M (1895) Mental Development in the Child and the Race. Macmillan, New York. Baltes P B, Lindenberger U, Staudinger U M (1998) Life-span theory in developmental psychology. In: Lerner R M (ed.) Handbook of Child Psychology, 5th edn. John Wiley, New York, Vol. 1, pp. 1029–1143. Baltes P B, Staudinger U M, Lindenberger U (1999) Lifespan psychology: theory and application to intellectual functioning. Annual Review of Psychology 50: 471–507. Birren J E, Schaie K W (eds.) (1996) Handbook of the Psychology of Aging, 4th edn. Academic Press, San Diego, CA. Bornstein M H, Lamb M E (eds.) (1999) Developmental Psychology: An Advanced Textbook 4th edn, L. Erlbaum Associates, Mahwah, NJ. Cahan E D (1994) John Dewey and human development. In: Parke R D, Ornstein P A, Riesser J J, Zahn-Waxler C (eds.) A Century of Developmental Psychology, 1st edn. American Psychological Association, Washington, DC, pp. 145–67. Cairns R B (1998) The making of developmental psychology. In: Lerner R M (ed.) Handbook of Child Psychology, 5th edn. John Wiley, New York, Vol. 1, pp. 25–105. Dixon R A, Lerner R M (1999) History and systems in developmental psychology. In: BornsteinM H, LambM E (eds.) Developmental Psychology: An Advanced Textbook, 4th edn. L. Erlbaum Associates, Mahwah, NJ, pp. 3–45. Eckardt G, BringmannW G, Sprung L (eds.) (1985) Contributions to a History of Developmental Psychology. Mouton, Berlin. Elder G H Jr. (1998) The life course and human development. In: Lerner R M (ed.) Handbook of Child Psychology, 5th edn. John Wiley, New York, Vol. 1, pp. 939–91. Gottlieb G, Wahlsten D, Lickliter R (1998) The significance of biology for human development: a developmental psychobiological systems view. In: Lerner R M (ed.) Handbook of Child Psychology, 5th edn. John Wiley, New York, Vol. 1, pp. 233–73. HallG S (1883) The contents of children’s minds. Princeton Review 11: 249–72. Harris D B (ed.) (1957) The Concept of Development. University of Minnesota Press, Minneapolis, MN. James W (1890) The Principles of Psychology. H. Holt, New York, Vol. 1. Lerner R M (ed.) (1998) Handbook of Child Psychology, 5th edn. Wiley, New York. Magnusson D, Stattin H (1998) Person-context interaction theories. In: Lerner R M(ed.) Handbook of Child Psychology, 5th edn. John Wiley, New York, Vol. 1, pp. 685–759. Mandelbaum M (1971) History, Man, & Reason. Johns Hopkins University Press, Baltimore, MD. Overton W F (1998) Developmental psychology: philosophy, concepts, and methodology. In: Lerner R M (ed.) Handbook of Child Psychology, 5th edn. John Wiley, New York, Vol. 1, pp. 107–88. Park R D, Ornstein P A, Rieser J J, Zahn-Waxler C (eds.) (1994) A Century of Developmental Psychology, 1st edn. American Psychological Association, Washington, DC. Piaget J (1983) Piaget’s theory. In: Mussen P H, Kessen W (eds.) Handbook of Child Psychology, 4th edn. Wiley, New York, Vol. 1, pp. 103–28. Reese H W, Overton W F (1970) Models of development and theories of development. In: Goulet L R, Baltes P B (eds.) Life-span Developmental Psychology: Research and Theory. Academic Press, New York, pp. 115–45. Richards R J (1987) Darwin and the Emergence of Evolutionary Theories of Mind and Behavior. University of Chicago Press, Chicago. Schweder R A, Goodnow J, Hatano G, Le VineR A, Markus H, Miller P (1998) The cultural psychology of development: one mind, many mentalities. In: Lerner R M (ed.) Handbook of Child Psychology, 5th edn. John Wiley, New York, Vol. 1, pp. 865–937. Sulloway F J (1979) Freud: Biologist of the Mind. Basic Books, New York. Van Geert P, Mos L (eds.) (1991) Annals of Theoretical Psychology. Plenum, New York, Vol. 7. Vygotsky L S (1929) The problem of the cultural development of the child. Journal of Genetic Psychology 36: 415–34. Watson J B (1924) Behaviorism. W W Norton, New York.